Planning House in collaboration with Blake Hopkinson Architects have secured planning permission for up to 66 houses in Co. Durham. 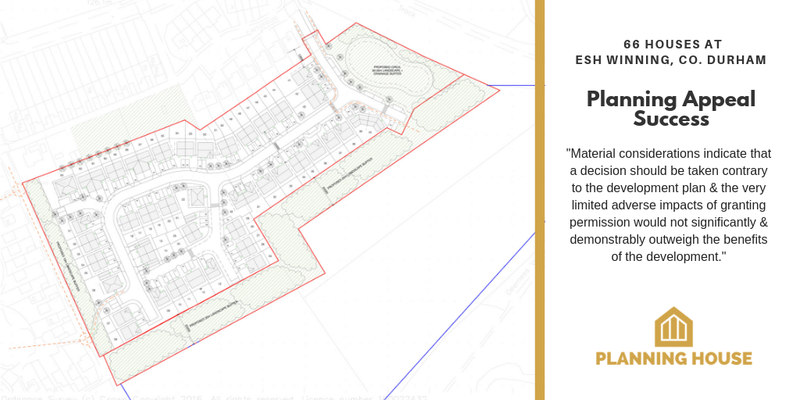 Whilst Durham County Council submitted that they now have a 5 year housing land supply under the new method of calculation published in the NPPF 2018, the Planning Inspector concluded that material considerations indicate that a decision should be taken contrary to the development plan and the very limited adverse impacts of granting permission would not significantly and demonstrably outweigh the benefits of the development. Planning Appeal Allowed, full decision can be read HERE. Previous PostWhat is a Planning Breach?Next PostWhat is Town Planning?